Ireland gave me life. No really it did. I can’t even explain it. But this enchanting place truly gave me a new outlook on the world. This was the trip I was most excited for, hands down. 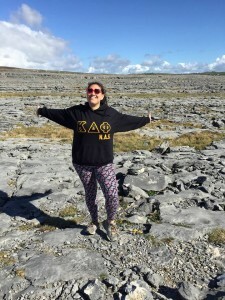 I actually almost studied abroad in Ireland. Although Italy was my top choice, I almost didn’t end up here. Everything happens for a reason and Milan is where I belong. 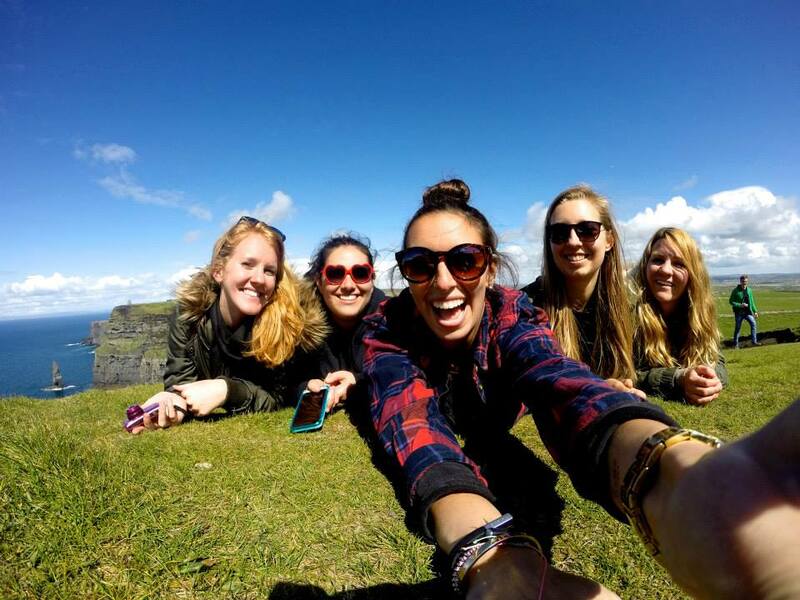 Studying abroad through a SUNY really is one of the greatest reasons to pick SUNY for your undergrad experience. 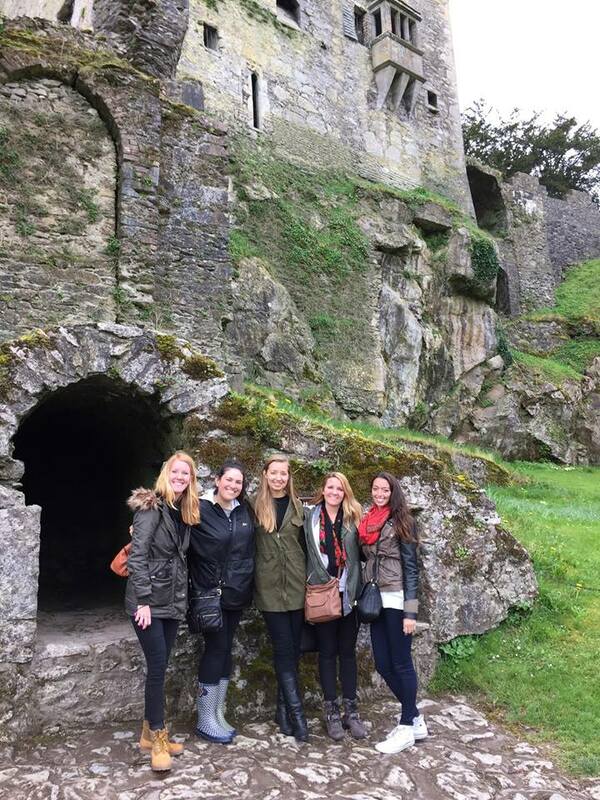 When you look into study abroad, you can study abroad through any SUNY. However, as a last semester Senior, I did not have the same privileges. I had to study through New Paltz. I wanted to study abroad regardless though, so this was no major set back. Years ago when I originally started looking through study abroad options, my dream program was nowhere to be found. I wasn’t asking much except to come anywhere in Italy, the catch being I needed an English speaking program. So when New Paltz didn’t offer such a program, I was forced to look elsewhere. For some reason I have always been enamored with I countries. It is a coincidence, but for some reason I love the I. I have visited Israel already. So from there I have always wanted to visit Italy, Ireland, and India in that order. So when Italy was a bust, I looked toward Ireland. This obviously wasn’t a setback, I mean come on it’s Ireland! It just wasn’t my dream. I refrained from looking again until it neared closer to the application date, and sure enough this time when I looked again, there was an Italian program that wasn’t there before. I emailed The Center for International Programs, and sure enough New Paltz had a new program to Milan, in which you didn’t have to speak Italian. They had only sent 2 students before, but I didn’t care, this was going to be my study abroad program. They got me in contact with one of the students, and the rest is history. So that is just kind of my little background story for how I ended up in Milan. I will say though once I had settled on Milan, I was set to make it my mission to visit Ireland. I didn’t care who with, where to, or what for, I just knew it and Milan are in Europe, so I was going to get there. I had wanted to go for St. Patrick’s day but alas it was during the week, so I couldn’t miss class. My friends and I looked into the weekend before but it was a pretty penny. We did however book our trip there for April, so it’s safe to say I was beyond excited. 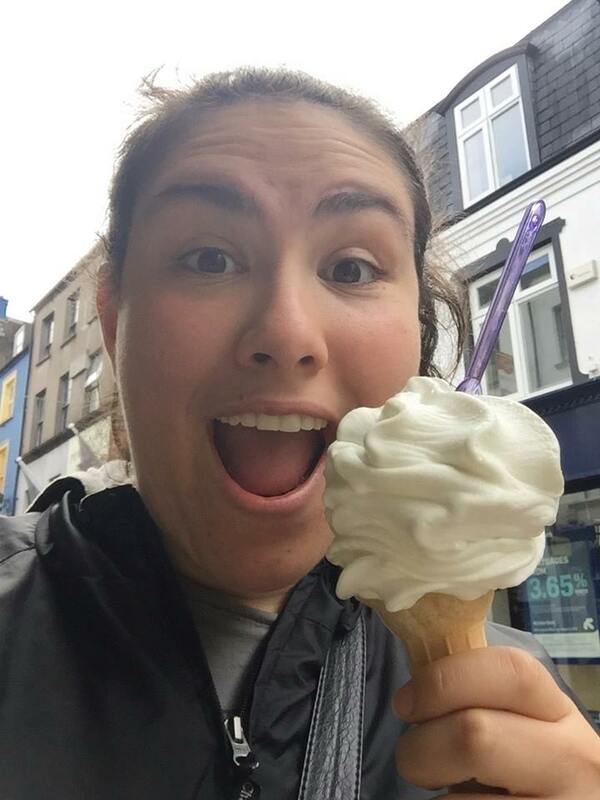 Besides Spring Break Ireland is the longest trip I have taken. We typically go just for the weekend, but being my lack of classes Friday, we flew out Thursday April 23rd & returned Monday April 27th. 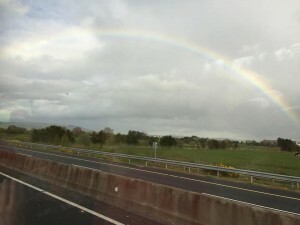 I wanted Ireland to be one of my biggest trips, so I could really spend some time there, and my wish came true. We did a lot of planning for this trip. 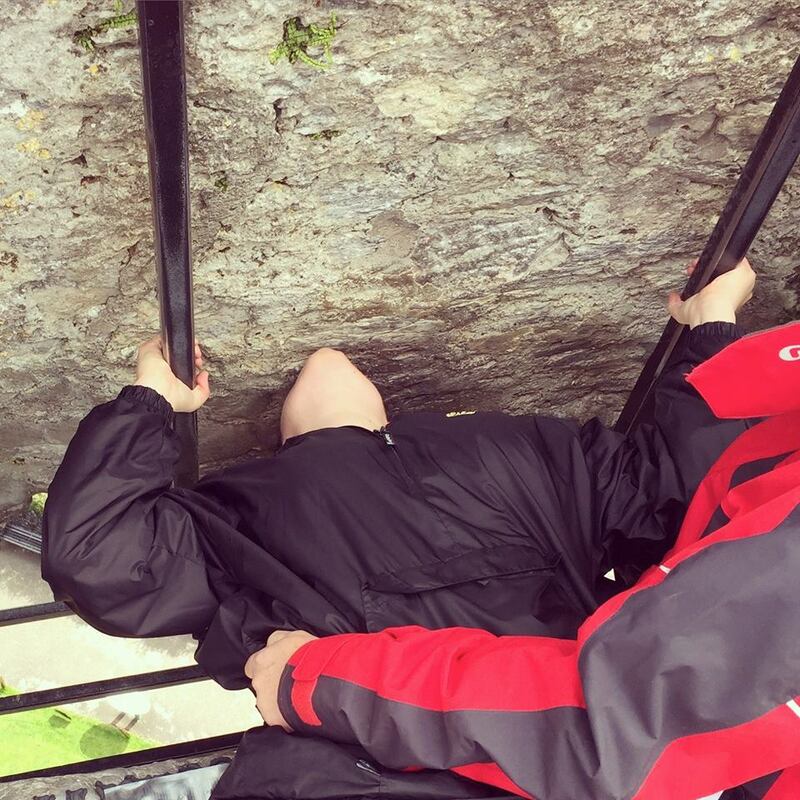 My friends really wanted to go to the Cliffs of Moher, and I was striving to reach the Blarney Stone, for my kiss! 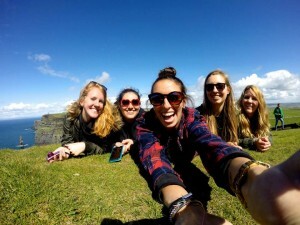 Most of our study abroad friends that went to Ireland were only able to make one, typically the Cliffs. The problem being that these sights are so spread apart. 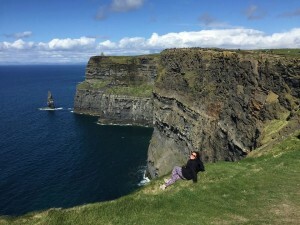 We were staying in Dublin, and the Cliffs & The Blarney were in complete opposite directions. I feel like these were the tourist sites I was told about in Ireland, and it seemed a shame to have to pick and choose. Luckily for us though we were able to create an itinerary where we could do both. Leaving Monday makes such a huge difference, because it means you have all of Sunday. I did this first in Barcelona, and it felt like you were given a gift of an extra day. Yes, there is nothing more exhausting then flying out Monday morning to make it back in time for class, but believe me it is worth it! I made sure to buy some chocolate here, of course! 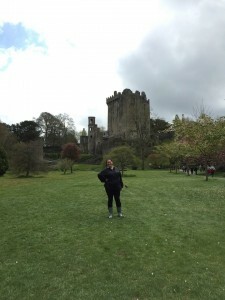 So Friday we embarked early in the morning for a day trip to The Blarney Stone. The Blarney Castle is right near Cork, Ireland. These day trips are long, you leave early in the morning and return late at night. So not making major plans Saturday was a great call on our part. Also both of our day trips (through different companies) made stops, which was a relief. First off you get a little stir crazy on the bus, but also there were no bathrooms on the buses! Our first stop on Friday was in Cork, which was so picturesque. It was so beautiful. The weather was a little wacky, it would rain and then it would stop. But hey that’s better then straight up rain. Ireland is very rainy. Our bus driver informed us that it rains 300 days a year! Next up thank goodness they took us to a longer stop where we could get food. We were beyond hunger. One of my biggest tips for those visiting Ireland, would have to be eating in pubs as much as you can. Pub food is amazing. It is cheap, hearty, and all around delicious. 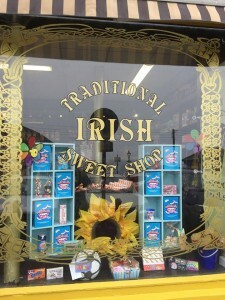 I didn’t really think much about the culinary experience in Ireland, beforehand. But man oh man our first meal was one of the best meals I’ve had in Europe hands down. All of my friends ordered sandwiches, but I was ordering thinking with my stomach, therefor I figured a sandwich wouldn’t cut it. 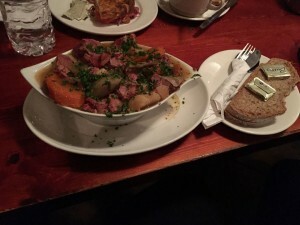 I ordered an Irish stew, which was certainly pricier then the sandwich, but I must say this was the greatest decision ever. This stew was the best food I had in Ireland. The meat was so tender, the broth was flavorful, and it came with Irish soda bread. It was nice to use butter on my bread, instead of olive oil, just for a change of pace. (My mouth is literally watering right now, thinking about this stew). Next we had some soft serve ice cream, because of course this huge bowl of soup wasn’t enough haha. I wanted to get the soft serve, because a friend from high school recommended dairy in Ireland because of all the cows, man oh man was she right. There was some flavor in the soft serve which I could’t even really detect but it added this floral note to the soft serve, which kept us eating more and more. The soft serve was creamy, sweet, and a nice alternative to the heavy (but obviously delicious) gelato we eat in Italy. Safe to say I was not hungry for dinner, even hours later. Dinner that night was a salad. I won’t write much more about food (although I could). Sunday I did have some memorable seafood chowder, and some even more memorable fudge! But I will recommend anyone going to Ireland should certainly get some meat & dairy because the surplus of cows & lambs really do make a difference in the culinary experience there. You also should get some Irish Breakfast, and of course potatoes!! The one thing I didn’t have time to eat there, which I wish I did was the Corned Beef. Oh well, I guess this gives me an excuse to go back! I can’t lie, as much as I was excited to go to The Blarney Stone, I must say I was not disappointed, but certainly underwhelmed. I was picturing this large rock in the middle of a field, which you could kiss it and take cutesy touristy pictures. The real Blarney Stone, located in Blarney Castle could not be anything further from my vision. 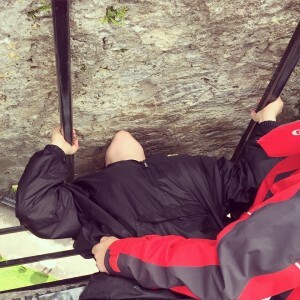 You hang upside down at the top of the castle, lowering yourself down to kiss the stone. I did kiss the stone, because come on you must! But this was not really what I had imagined. Hopefully I did indeed get the gift of the gab. I’d say by looking at the length of this blog post, it worked! Blarney Castle with MK, Heidi, Brooke, and Taylor! The grounds at Blarney Castle are so beautiful. We even saw a Bride & Groom taking wedding photos there! We got some great pictures on the ground, and the weather held up, which was a major plus. We returned to the bus, headed back to Dublin, where we did indeed see a rainbow! Also sure enough, there were two other New Paltz students, studying abroad in Spain on the bus. It is indeed a small world, after all. Saturday was rainy to say the least. We mostly hit up museums (including the Kilmainham Gaol), which is the ideal thing to do in the rain. Sunday, we woke up even earlier than we had done on on Friday and headed off to on a day trip to The Cliffs of Moher. 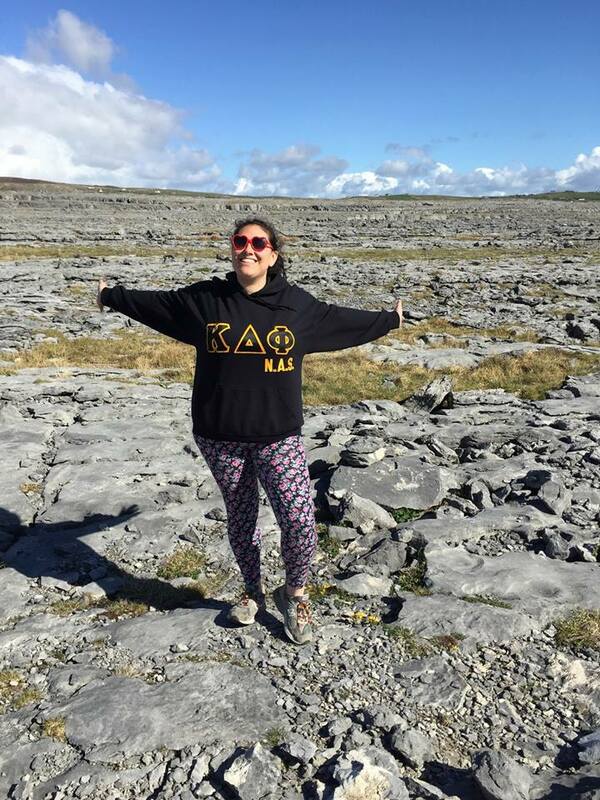 Our first stop was in Galway, which I was very excited about because that is where one of my closest friends studied abroad when she was in Ireland. Galway is a very small town, but it was so cute. We took a brief walking tour, and then explored for a short time. I wish we had more time there, I would have loved to roam even more! The Cliffs of Moher were so breathtaking. It is hard to describe it, write about it, talk about it, because I feel I can’t do it justice. It was one of my greatest days not only of study abroad, but of my life. The weather was freezing, but no rain for us! The sky was so blue. Sure it is very windy, so you must be careful around the edge of the cliffs. But the sight of the cliffs was just so incredible, I have seen nothing like it. It was so powerful to be there. 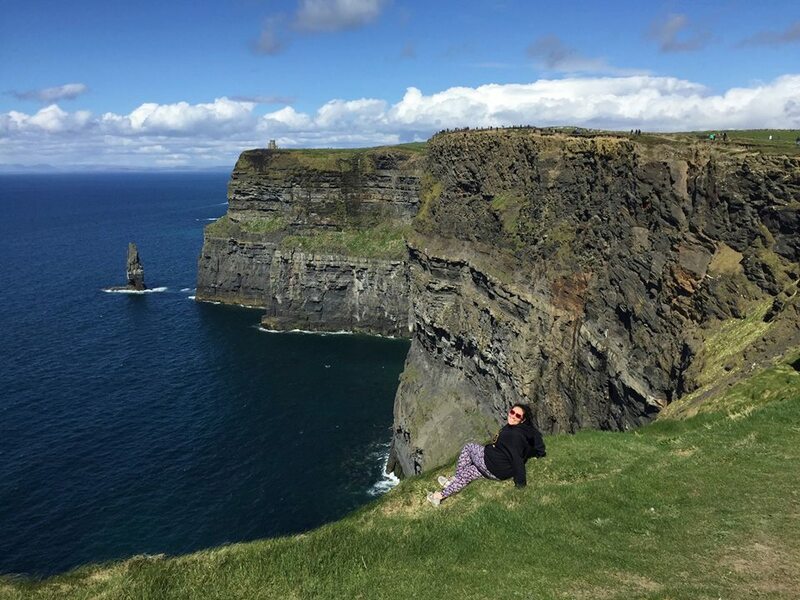 Also for Princess Bride fans, like myself, The Cliffs of Moher are The Cliffs of Insanity from the film! That was a fun little piece of trivia for me to learn. Anyone who goes to Ireland, NEEDS to go to the Cliffs. We made a few more stops before heading home. This was the greatest day of the trip, but also the most exhausting. We stopped at another cool spot, where they filmed a scene from Harry Potter and the Half-Blood Prince. For anyone who remembers my Spring Break blog post, I am a huge Harry Potter fan, so I was exstatic about being there! We returned to Dublin, slept a few hours and took a 6:15am flight home back to Milan. This trip was life changing. I can’t wait to someday return to Ireland. Thanks for reading! Till next time beannacht!